w/ a purchase of 3- and 6- month subscriptions! 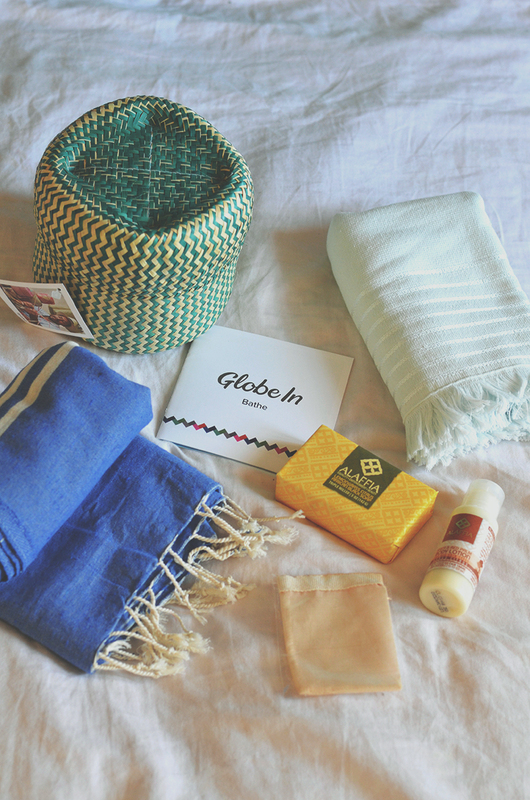 GlobeIn is a social business whose goal is to empower talented, remote artisans and to give them global reach! Every product they choose to include either in their monthly subscription box or in their online shop is chosen as being delightful and useful, while also having a positive social impact behind them. 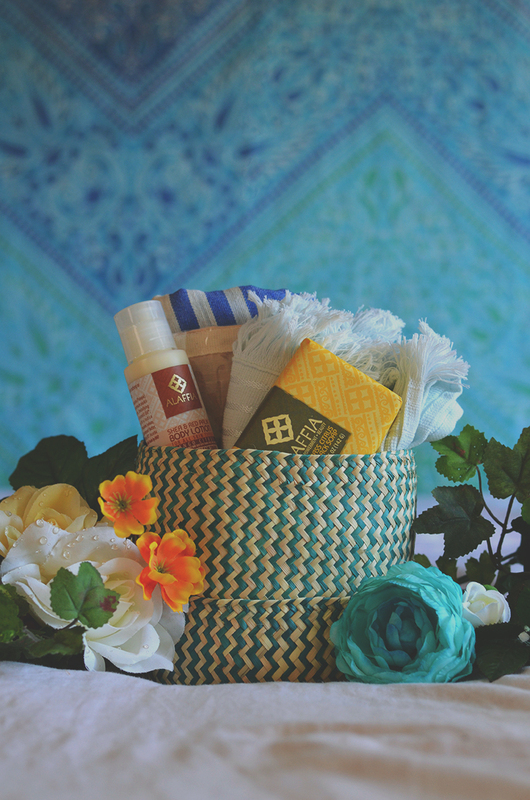 Their Artisan Boxes are all curated around a monthly theme, with this one being the "Bathe" box! 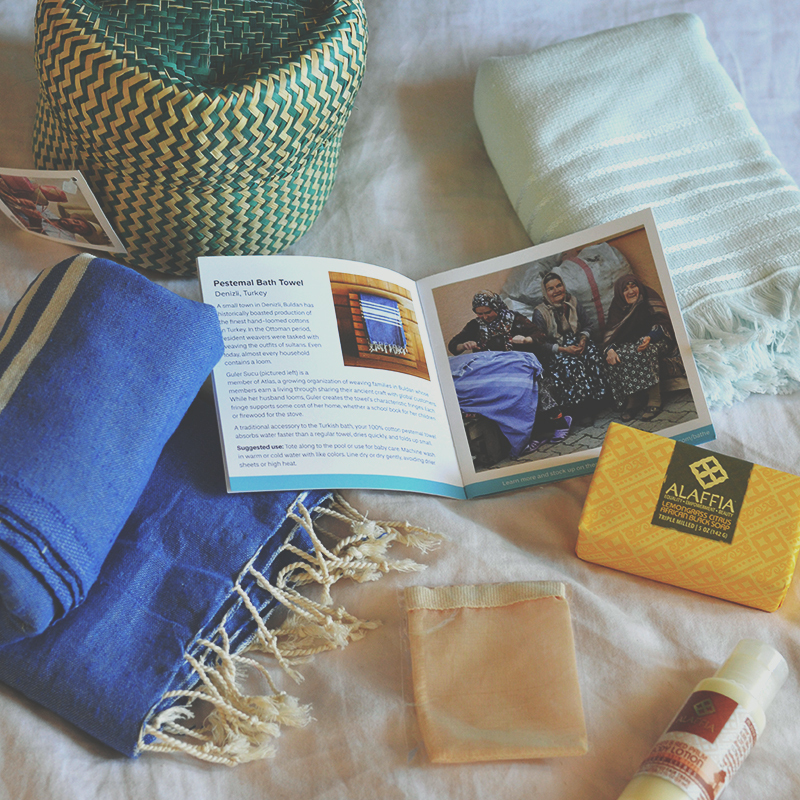 All these "boxes" always come in a beautiful handwoven basket, as well as a mini booklet with the stories behind each product, as well as the stories of the artisans and the farmers. These are handwoven with palm leaves by artisan basket weavers in Mexico and then hand-painted in an assortment of beautiful colors. 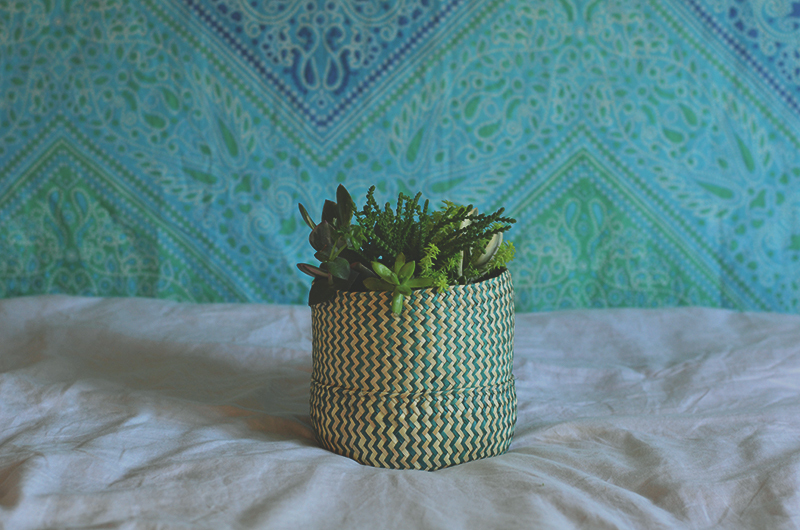 They are so perfect for storing little things or also as a decorative plant holder! 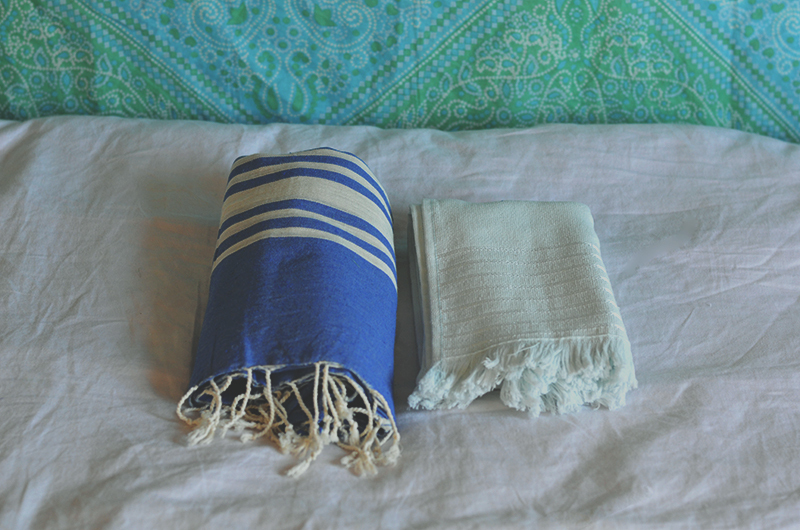 This pretty, deep blue bath towel is made from hand-loomed cotton in Turkey. They are made by artisans part of Atlas, an organization of weaving families in Buldan whose members earn a living by sharing this ancient craft with customers around the world. These absorb water faster than regular towels and are also very lightweight, making them great to take in your beach bag! A great companion to the bath towel, these cotton hand towels are super soft and plush. They are by Turkish artisan, Oktak Esgin's small business, Bambu Tekstil, which he started because he wanted to bring more employment to his hometown. He now employs 45 members of his community! 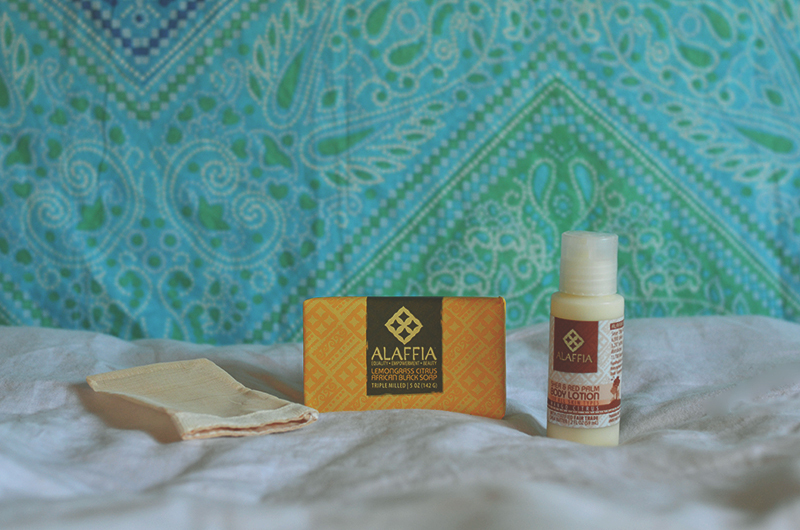 Also from Alaffia is this body lotion, which likewise smells incredible. The red palm oil in this is completely unrefined so it retains all its natural vitamins and antioxidants! Made by Turkish artisan, Emre Ustun, who uses a traditional hand loom to weave raw silk into skincare products! This mitt is antibacterial, helps to eliminate lifeless cells, and also boosts collagen production. A great addition to your after-shower routine! Eco-friendly fashion choices shouldn't stop at just aesthetics, they should also extend to the way we care for and clean our clothes. 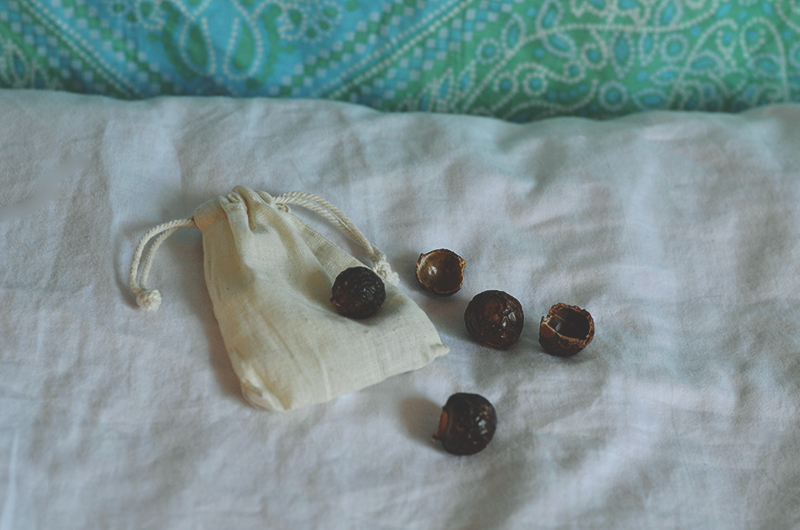 These soap nuts are completely natural and are a chemical-free way to do your laundry! They are naturally sudsing and work the same way as commercial detergents but without the chemicals. Plus, they are USDA Certified Organic! Have a lovely day and take care! 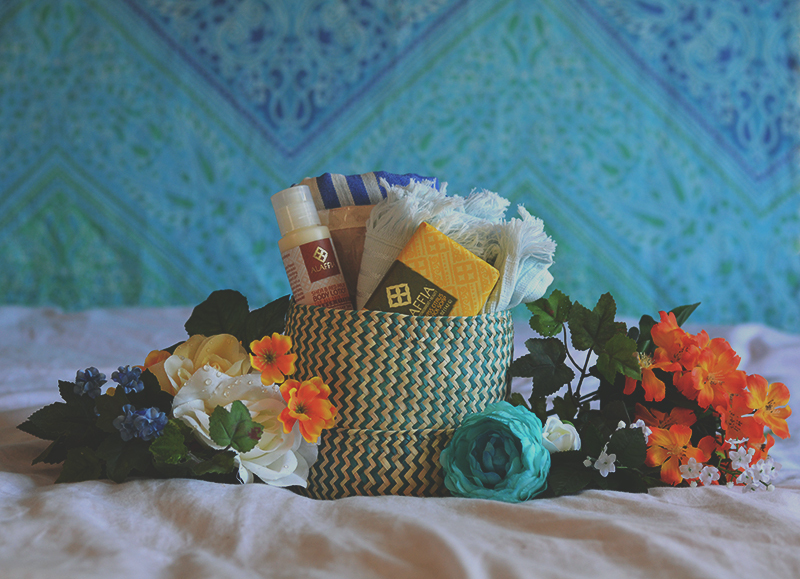 That basket is beautiful and the black soap you got looks really nice. I've never heard of this company before but it looks really cool. Glad you enjoyed the post! :D Their products are awesome! do love the idea of this! <333 Definitely a wonderful subscription box!